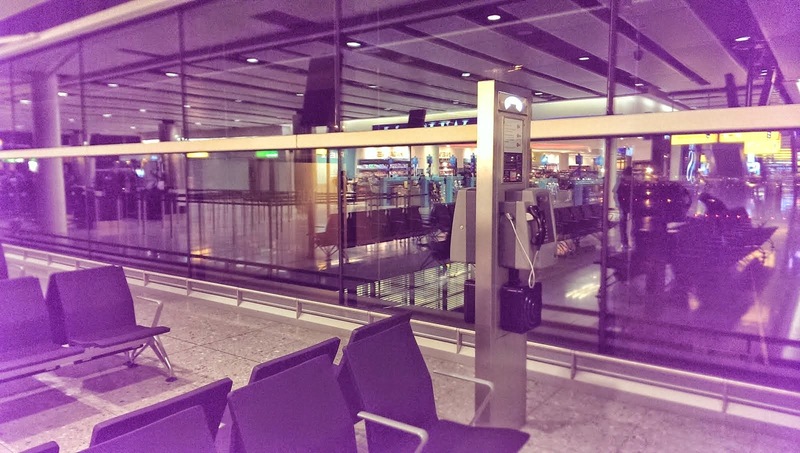 An awesome one here to prank. There's nearly always a queue of local taxis waiting her for a job. 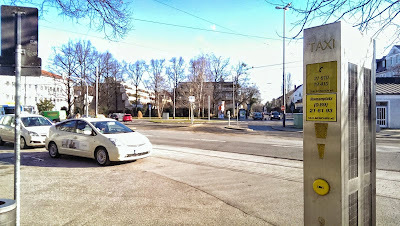 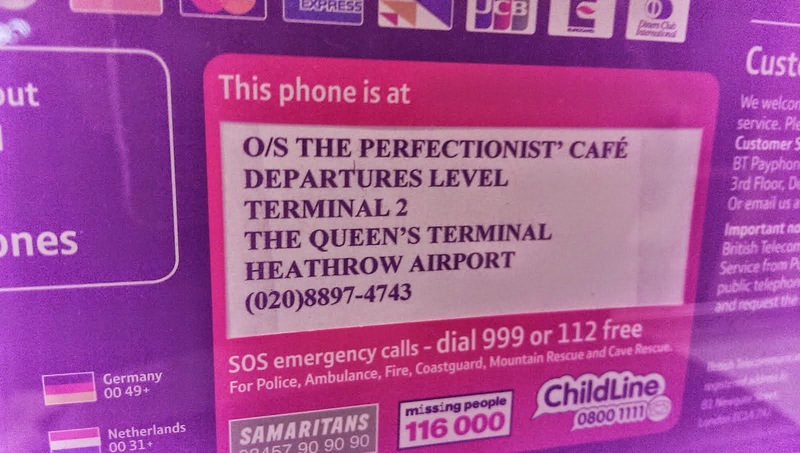 Calling the number makes the box at the rank ring. 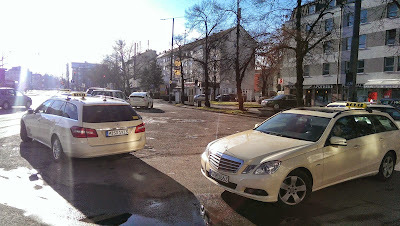 The driver of the first taxi will spring to get out and answer it. 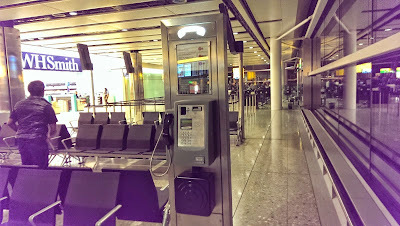 My best gate side payphone here yet. 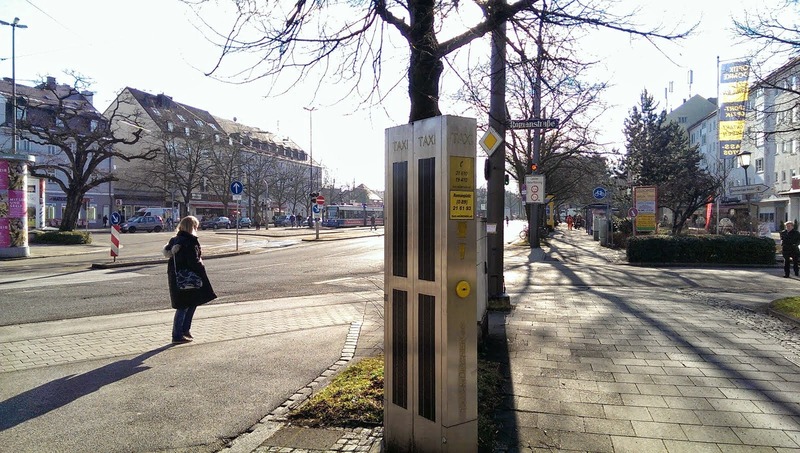 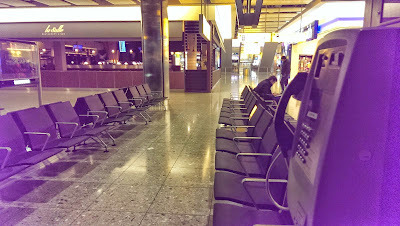 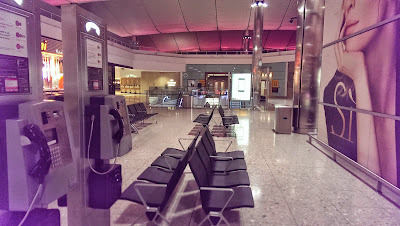 Payphone is positioned right next to the seating area. Time this right and they'll be loads of anxious passengers waiting to board their flight. 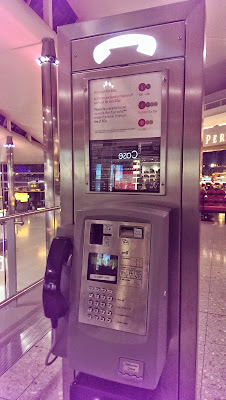 The ringing will be hard to ignore. 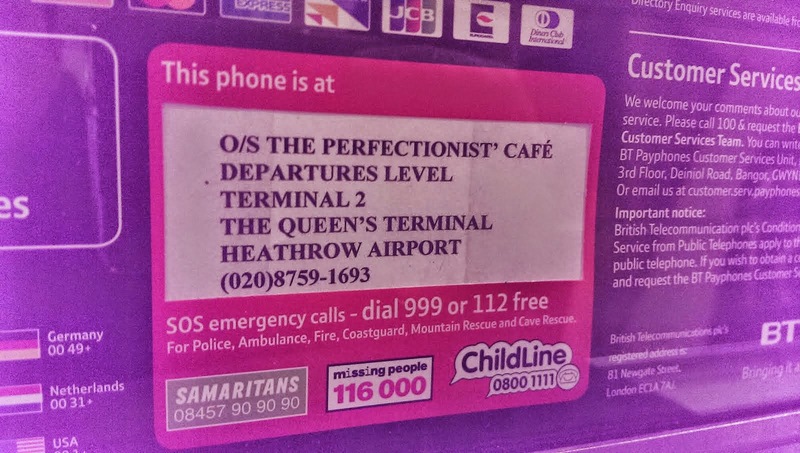 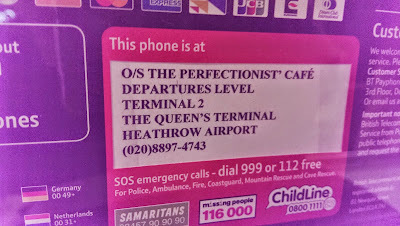 +442087591693 & +442088974743, O/S The Perfectionist Cafe, Terminal 2, The Queen's Terminal, Heathrow Airport, London, United Kingdom. 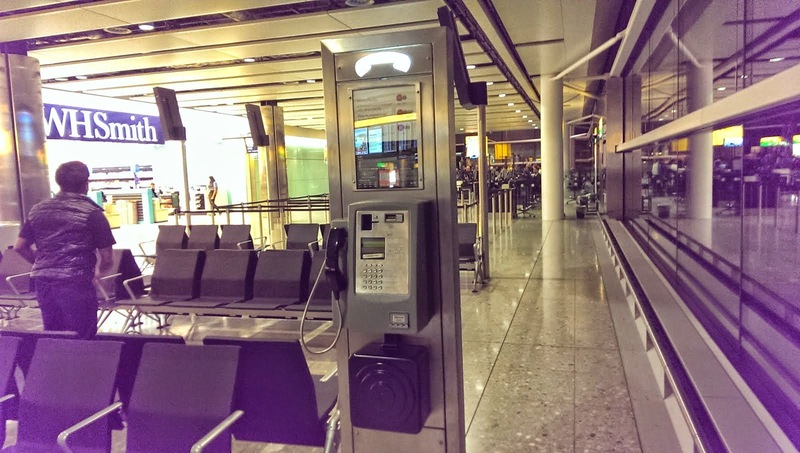 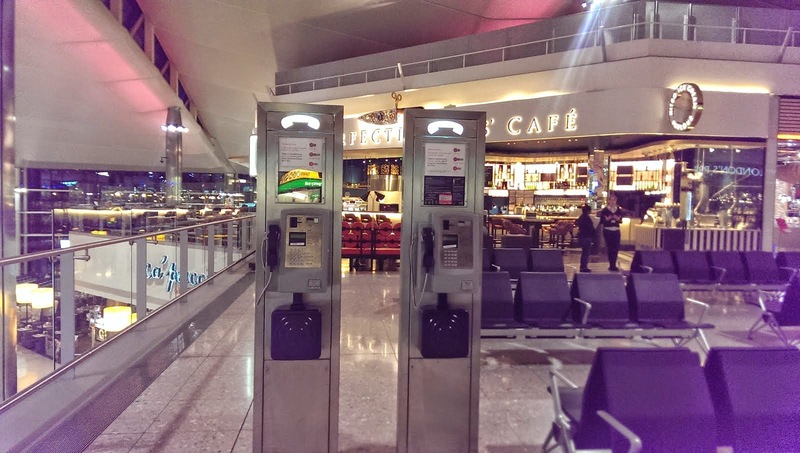 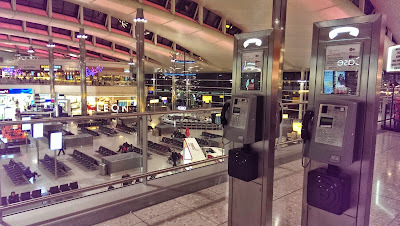 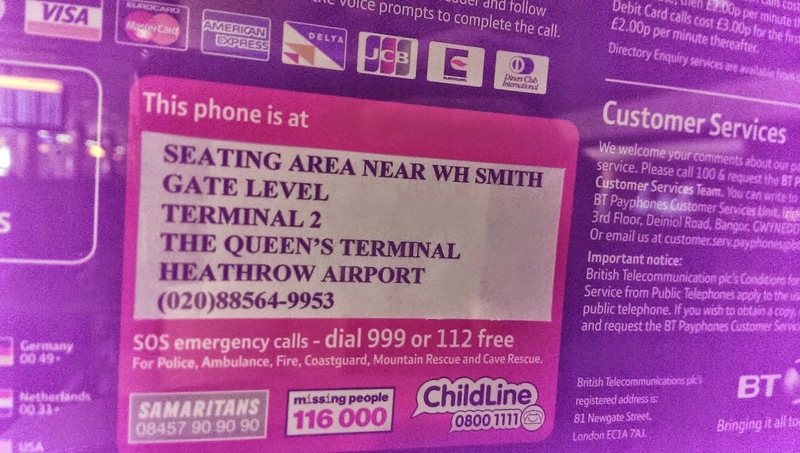 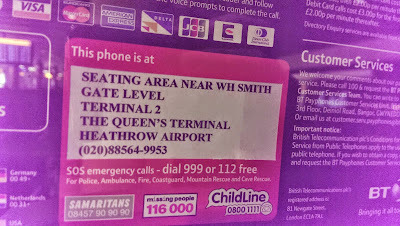 Two great payphones with working telephone numbers just by a seating area in this busy airport terminal.